Innovative Automation Private Limited is a well established and leading Supplier and Integrator of Combustion Equipment in India. We manufacture Prepiped Gas Trains, Burner Control systems, Motorised Butterfly valves, Ignition Panels and other Customised Combustion Equipment. 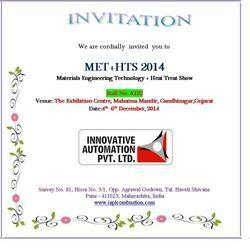 Strong domain knowledge in Thermal Combustion Engineering, Instrumentation & Control, Process Engineering. The large variety of products like Gas Regulators, Safety Shut off valves, Modulating Motors, Gas Solenoid valves, Combustion Air valves, UV detectors and controllers offered off the shelf as a virtue of huge inventories that we carry. Qualified Design and Engineering team, backed with the support from our Overseas Principals. 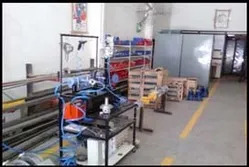 A well equipped 7000 sq.Feet Manufacturing facility in Pune, India with a modern Test Lab. An experienced team of Combustion Engineers trained overseas. Installation and Commissioning support at a Repairs offeredsite, SpareRepairs offered for all the products. Backup Support from our overseas Principals on Engineering and Design. We are a customer centric organization and always endeavor to satisfy our clients all across the country and meet their requirements and specifications. 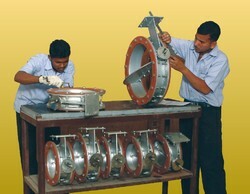 Our Engineers select the proper product after understanding the customer's process requirement carefully. Our Product Engineers are specifically trained for this purpose at Our Principals' factories. Our Policy is to offer our customer exactly "What they need" rather than imposing on them "What we have". This has earned us a reputation of a technically competent and reliable source for the high technology products. 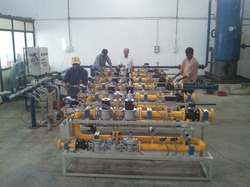 We have an excellent Manufacturing Set-up and Training Center in Pune. India where we plan to conduct these programs. Technologically Superior Products, all available under one roof. Prompt Pre-Sales and after Sales Service. Qualified and Experienced Engineers. In-house Service and Repair Centre. In-house Test Lab for Best Quality Assurance. In-house Customer Training Centre with Live Demo Kits. Large offtakes from our Principals give us a price benefit. We pass this benefit to our customers. Ex-stock deliveries for most of the products. A solution providing by the way of Value added products. 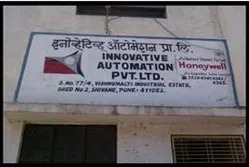 Innovative Automation Pvt. Ltd. is proud to announce its new initiative towards imparting a complete Hands-on training on Combustion Control and Safety Equipment to the Users.